The owners of ModDB.com have revealed Mod.io, a new cross-platform modding API whose goal is to make it easier for developers to add mod tools into their games. Three games already supported the new API: ECO, Sinespace and 0 A.D..
For the longest time, we have championed mod support. What began as a hobby 20 years ago, quickly became an obsession, and in 2002 we launched ModDB.com. Over two decades we have watched modders transform games in creative and unique ways. The longest lasting franchises with amazing legacies like Half-Life, Warcraft, Skyrim, ARMA and Minecraft have spawned many of today’s genre defining hits including Counter-Strike, League of Legends and PUBG. Today we are proud to announce the launch of mod.io, the first open cross-platform mod API that puts developers in-control of their modding community. mod.io is designed to operate behind-the-scenes and be a drop-in solution that does the heavy lifting required to support user generated content in-game. Our aim with ModDB.com has always been to support creators, and help games grow their modding community. We believe the more open and accessible modding is, the stronger and wider the adoption will become. So for us mod.io is a natural evolution of this belief. It is quite a different product from ModDB.com, which proudly supports mods for every game. mod.io will only support games that integrate the API and automate the process of installing mods. We are incredibly excited to be launching mod.io with the titles 0 A.D., ECO, and Sinespace. Partnerships with these titles were sought to demonstrate mod.io’s flexibility to tackle unique challenges. In the case of 0 A.D, it is working with the open source community that require a platform agnostic solution. 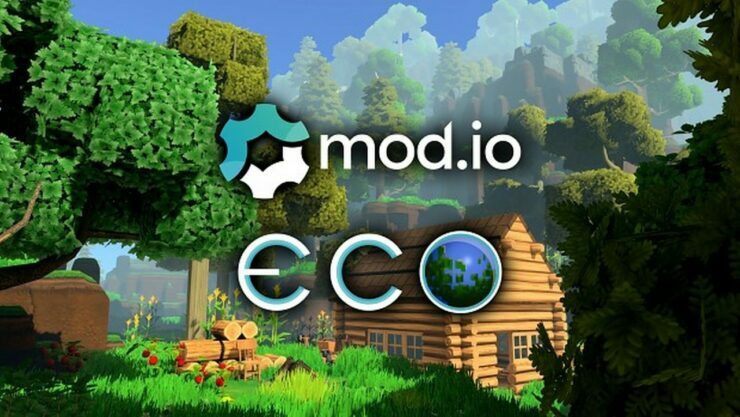 In ECO, mods are purely server-side and Sinespace is a virtual world that treats mods as templates that are there to be built and modded themselves.